We didn’t have offices as far back as 1643, but the Battle of Chalgrove Field between Prince Rupert (Royalist nephew of King Charles I) and John Hampden (Parliamentarian) has left its traces at Jennings today. Hampden’s name became synonymous with Chalgrove because 100 years after his death his name and reputation for truth and honesty was used as a shining example. The values and the names live on with many namesakes locally, including Monument Park, Hampden House and Prince Rupert’s Shepherd’s Hut. 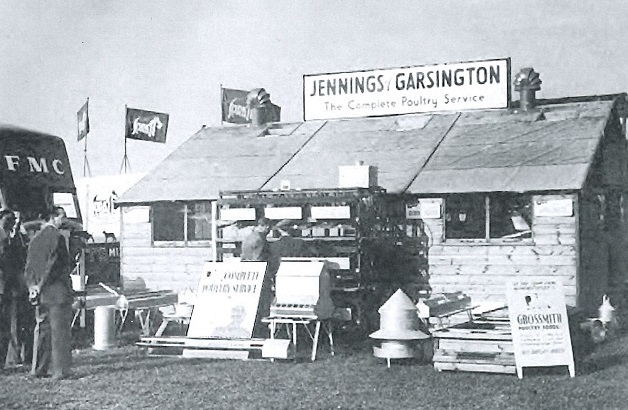 Our story really got going in 1926, when Joseph William Jennings bought land in Garsington, to turn his pedigree eggs and 300 birds into his first poultry business. By the late 1930s the business had grown to 1000 breeding birds and 2000 commercial layers for eggs – a big outfit for its time. 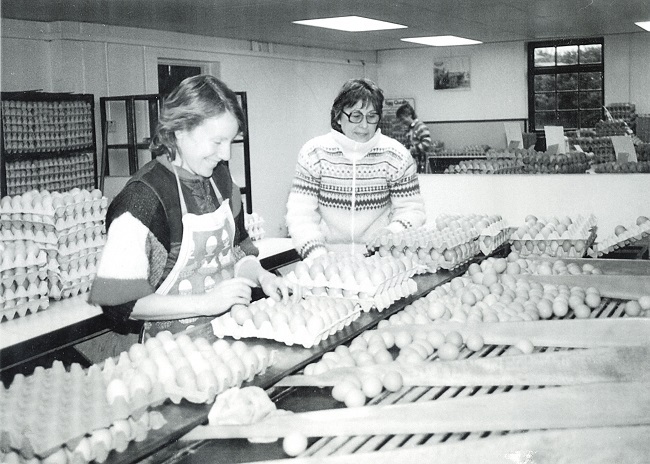 Introducing ‘flexible working’ before it was fashionable to combat labour competition from the local car industry, Jennings grew to be one of the largest egg producers in Western Europe. In the 1960s Joe Jennings was a founding member of The British Egg Association, giving UK egg producers a specialist political voice. 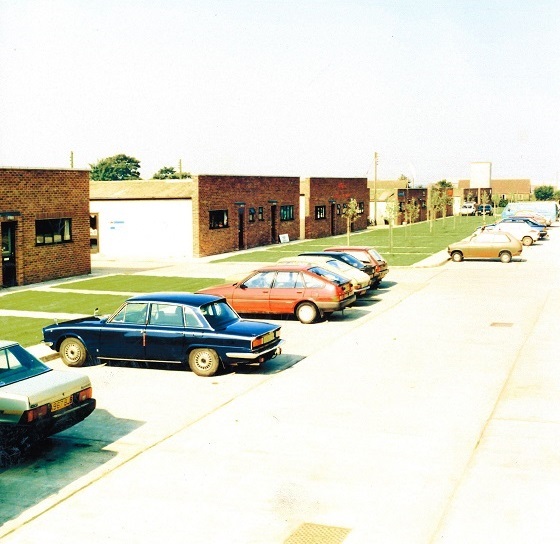 With ambitions to develop the business, Joe and John (sons of Joseph W Jennings) bought a site in Chalgrove which had been used by the USA air force. This site would become Monument Park. The need for diversification and a growing number of craftsmen looking for workshop space brought about the conversion of the Chalgrove farm. Combined with a sympathetic ear and an understanding of being selfemployed, Jennings became landlords with huge demand for the buildings. In the 1980s the pace of change increased, as Mike Jennings (son of Joe) joined the family business. Poultry houses in Chalgrove and Garsington were converted to workspaces, and larger industrial buildings were built. Paul Mabbutt joined the company in the 1990s, and Mike developed a vision of a business community where people feel valued and small businesses are supported. With the opening of a fully-serviced office centre, Hampden House in 2001, the stage was set for a new phase of successful development. Mike and Paul agree and nurture a set of values for Jennings, where openness and honesty, trust and being courteous become the beating heart of the business. Developments such as Jennings Business Mentors, launched in 2008 to support small businesses, and the Monument Community Trust, established in 2010 in support of local charities, firmly set Jennings on a path of innovative service and support to the wider community. With a new phase of modern workspace built in 2017 in Hampden Field reflecting our passion for sustainable growth, and our two Shepherd’s Huts by the lake adding to our fabulous facilities, Jennings continue to positively impact local and business communities. Our hopes for the future are that our values-led culture will help build even stronger relationships, that it will support and develop more people and contribute further to the wider community.